Western states led the nation in approving women’s suffrage. By the time the Nineteenth Amendment, was approved by Congress in 1920, Wyoming, Colorado, Utah, Idaho, Washington, California, Kansas, and Arizona had granted women the full right to vote. 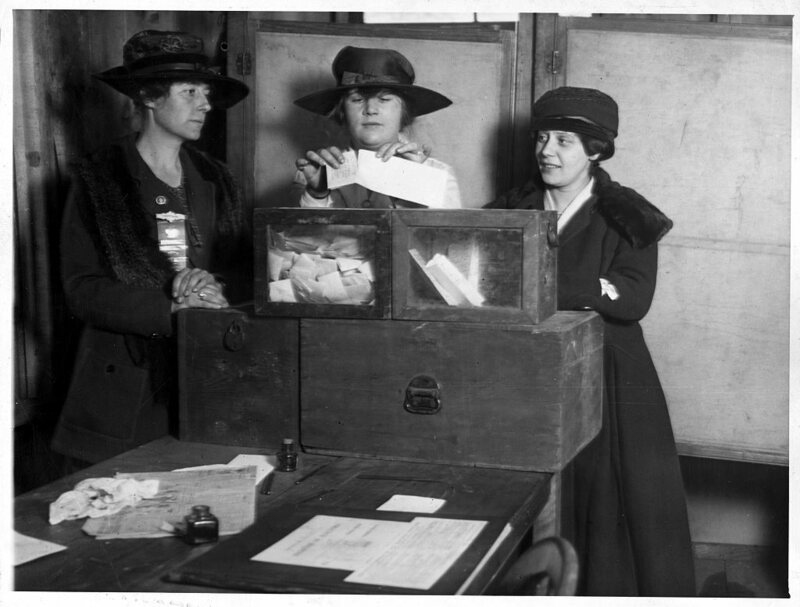 On November 5, 1889, Wyoming voters approved the first constitution in the world granting full voting rights to women. Western states and territories were more favorable to women’s suffrage than eastern ones. Scholars have pointed to several possible reasons — western areas, faced with a shortage of women, used suffrage to encourage female immigration; as an acknowledgment of the role women played in frontier settlement; voting for women’s suffrage simply to bolster the strength of conservative voting blocks. Meanwhile, activists concentrated on the single issue of suffrage and went directly to the politicians and newspaper editors to educate them and to persuade them to support the goal of suffrage. These two periodicals provide a unique look into the Western Women’s Suffrage Movement. Considered the first woman newspaper publisher in Washington State, Missouri Hanna was the founder and editor of The New Citizen, the successor to her earlier suffrage publication Votes for Women. With the tag line “The magazine that won equal suffrage in Washington”, it focused on the role of newly-enfranchised women in Washington. Articles discussed a variety of state and regional issues, including labor legislation, divorce laws, wage disparity between men and women, reproductive rights, and more. Established to serve all women voters throughout the western U.S., Western Woman Voter began publication following the passage of suffrage in Washington State. Adella Parker, a popular Seattle lawyer and prominent suffragist, was the driving force behind both it and the suffrage movement. It also served as a print forum for Parker’s progressivist sympathies regarding political and social reform. The expansion of Women’s suffrage in the West set the example for the rest of the country. Eastern suffragists pointed to the accomplishments in the West as the best example for the benefits of extending the right to vote to all American women.